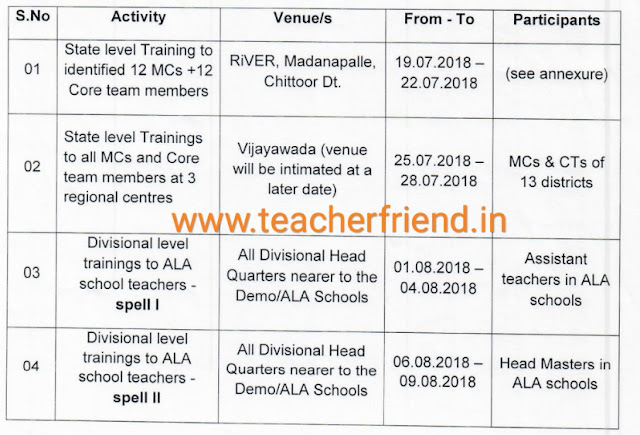 AP Primary Education Ananda Lahari Abhyasana (ALA) Extension of Programme to Classes 3 to 5 in ALA schools Conduct of Trainings/Orientations to Master Coaches, Core team members and ALA school teachers Time lines and certain instructions Issued as per RC.No.11/C/SCE12T12016 St. 16.07.2018. All the District Educational Officers and Project Officers in the state are aware that, Amanda Lahari Abhyasana (ALA) was implemented in 2017-18 academic year in 1347 schools (g 2 schools per Mandel. 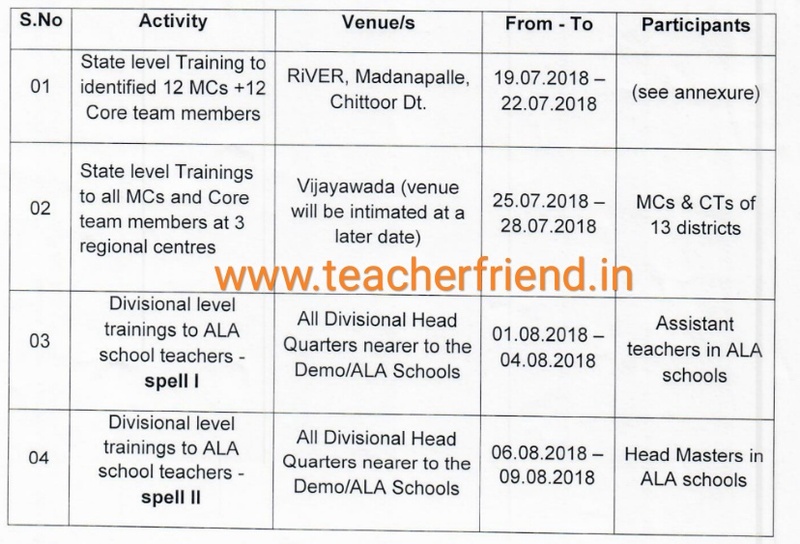 In this regard, they are informed that, ALA programme is going to be extended to classes 3 -5 during A.Y 2018-19. In this connection, it is decided to conduct trainings/Orientations in cascade mode as scheduled below. in SI.no.3 and 4 in the above table. AMO SSA should be the overall in-charge of the trainings at the divisional level.